Dr. M. Yaqub Mirza is the president and CEO of Sterling Management Group, Inc. and Sterling Advisory Services, Inc. Sterling negotiates mergers, acquisitions and sales of various sized companies located in different parts of the world. Sterling and its affiliates have managed investments in the United States, Canada, Chile, Egypt, Malaysia, Turkey and Zimbabwe. 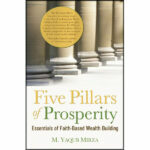 In addition, Dr. Mirza has more than 30 years of experience in stock investments and portfolio management. He is a member and Vice Chairman of the Board of Trustees of Amana Mutual Funds, which is registered with the Securities and Exchange Commission as an open-end investment company. He also serves as Chairman of its Executive Committee and is a member of its Audit and Compliance Committee. Assets under management are nearly $3.5 billion. 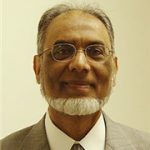 Dr. Mirza is a member of the Board of Directors, University Islamic Financial Corporation and is a member of the Board of Trustees, George Mason University Foundation, Inc. He also serves on the Board of numerous other companies, including several not-for-profits. Dr. Mirza holds a M.Sc. from University of Karachi (1969), a Ph.D. in Physics (1974) and M.A. in Teaching Science (1975) from the University of Texas at Dallas. Dr. Mirza is a United States citizen and has resided in Herndon, VA area for the past 28 years.